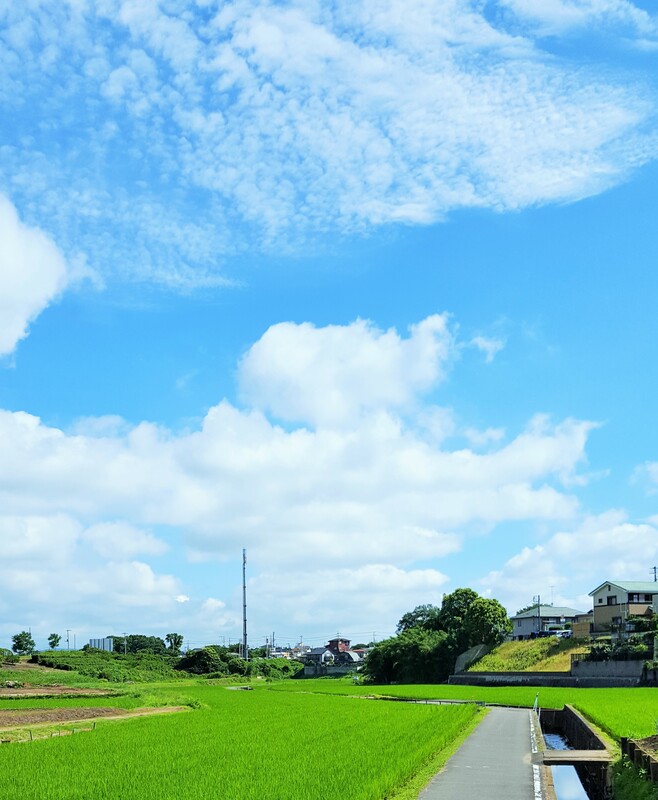 White cotton clouds, green paddy. It is great to see you after a week. However, it was yesterday when Mei-Shun walked to the nearest shrine. They have gone immediately to bring heavy rainfall from midnight. What a pity — horseback riding club is closed on Tuesdays. It takes at least one whole sunny day for the field to dry. And her appointment with Last One and Madoka-chan is on Thursdays.